Tank Ackerman’s mission in life is to make a healthy lifestyle practical and successful for individuals and families. 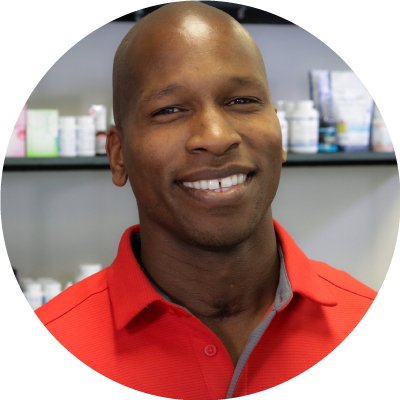 As a Certified Integrative Health Coach and Personal Trainer, Tank will educate you about the changes needed to attain a healthy lifestyle. He sincerely cares about the progression and achievements of his clients. This passion comes from facing health challenges early in his life. Due to this experience, Tank has dedicated his life to encouraging others to make health a top priority. Tank enthusiastically joined Verity Health Center in September 2018 because the mission of Verity aligns perfectly with his own. He is also the Community Outreach Representative for New Leaf Market where he teaches Healthy Living classes in all sectors, from K-12 schools to state agencies. As the former Fitness and Recreation Director at the Boys & Girls Clubs of the Big Bend, Tank is also skilled at helping children and teens understand the benefits of making healthy choices. Tank received his Integrative Health Coach Certification from the Institute for Integrative Nutrition at Columbia University. The Florida native is a member of the American Association of Drugless Practitioners as well as the CEO and Founder of Health Heaven Services. He attributes any and all of his success to his Lord & Savior Jesus Christ, a very supportive wife and their four beautiful children. Tank is also very active as a father by serving as the head coach of his children's athletic teams.